HAHA! 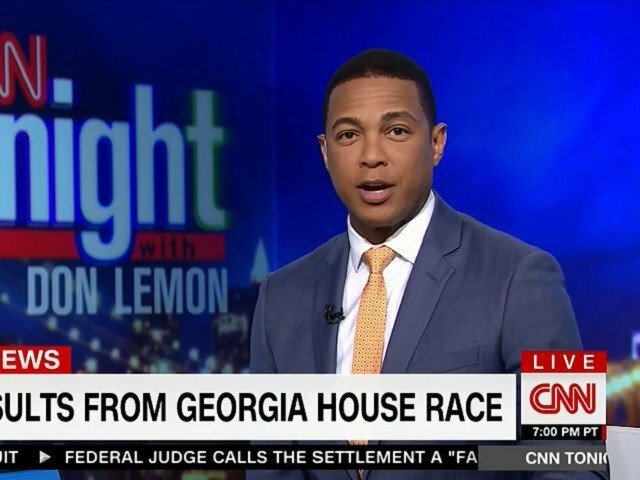 Don Lemon is butthurt and whining… because America celebrated a Republican win in Georgia. He’s upset that it was such a big deal. I’d have to say, sure he’s right. It was Democratic morons that made such a big STINK about it, that it’s just too tempting to rub it in their face a little. This is in no way even close to what liberals would be doing had it been their guy that won. So Lemon, if you have any questions or concerns…feel free to take them home with you and deal with it. Of course however, it’s a little too late for that. On CNN Tonight, Don Lemon made sure to share his reaction to the results in Georgia’s special election. Sorry Lemon, all we hear is blah. blah, blah, blah…no one is listening to you to form a response, because you’re fake news. So it does not matter what you ask or present to consider. Besides, is the right really making a big deal about this? The Left are the ones that decided to make this a big deal when they poured money into the election in hopes that they were giving Trump a punch in the face….and now they are like ‘it really didn’t matter’. We never believed them before, it’s certainly going to be hard to start now.